This report contains data aggregated monthly of all the companies that participate in the Nasdaq composite. This stock index includes all the values (both national as well as foreign) listed in the Nasdaq market, a total of more than 5000 companies. The weight of companies in the index is based on its market capitalization, with specific rules that limit the influence of the greatest components. 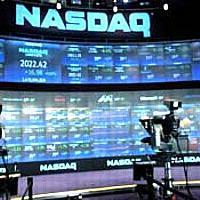 The high weighting of technological values within the Nasdaq market has made this index very popular, although it is more volatile and speculative than the NYSE. This ranking lists companies by the capital gain of its shares, month by month.